Barcodes have been around for a while it’s a way for retailers to keep track of their inventory and price changes. Barcodes are just as the name implies, they are a bunch of lines or bars that when put in certain order and scanned by machine reveal a quantity of items, the batch in which the item originated from or the price of an item or group of items. Barcodes and the scanners to read them, became available in 1951, when Bernard Silvers and a friend of his wanted to develop a way to help out a local store manager read product information easier. They developed a machine that was able to read a sequence of lines or bars with lasers that read the code of the bar and then deciphered them through the register. Since then barcodes have been used in many different ways from grocery stores to delivery services. The scanners that read barcodes have since changed from big and bulky stations to small handheld scanners that can be taken anywhere. They have become popular in use with small and home based businesses. Inventory control can be solved easily with barcode scanners. You can keep track of what is still in stock out of your merchandise and when to reorder more of an item or supplies. If your item is expired or if there is a bad batch of a particular shipment of an order then they can be recalled or you can call the manufacturer and report what specific shipment needs to be recalled or monitored. The one thing that should be avoided is excess of the product. The way to do this is with an inventory count. An accurate count is important. You don’t want to overstock on an item that isn’t going to sell at a normal pace. Depending on what is in demand, you as a retail owner would want those items to draw in the customers that would be intrigued by those items. To counter balance the overstocking of products, the other thing that should be avoided is the under abundance of your key items. The worst thing that could ever happen to a business owner especially one in retail is running low or completely out of stock of popular items at the time. You do not want to be short on an item that your customers need. That would make them look elsewhere for the items they need would in turn make you lose revenue. Inventory control has become easier with the purchase of a barcode scanner from reliable providers like Shopify and program for your computer. These days you can even scan barcodes with a cell phone depending on the type of phone. Cell phones have been used in a number of retail transactions. For barcode scanning on a mobile device, the cell phone is loaded with application capabilities and a camera on the phone is used to scan the barcode. If you’re looking to do barcode scanning for your business it’s all a matter of choices. What machine and what program will be the simplest for you to operate and what systems are easy to understand. There are plenty of different barcode scanning programs for the computers and barcode scanning applications for the updated Android and iPhone type of phones. When searching for a barcode scanner there are many things a business owner would benefit from considering, according to Walmart. The first item on the list of considerations should be cost. The thing is before investing in a machine, program or both is to be sure it’s a necessity. 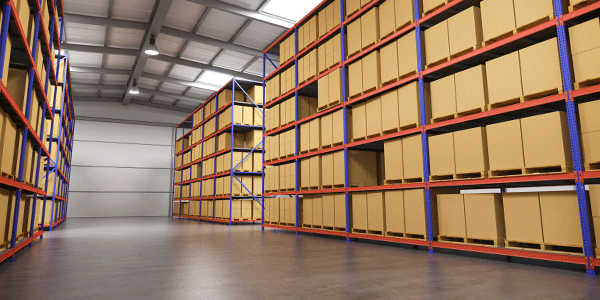 Are you losing track of inventory, how much you are receiving and how much you’re selling? Is it easier than the current method you are using to keep track of your investment? Barcode scanning systems and machines can be very expensive especially, but it can be very useful in keeping track of your items. Another consideration to make is what type of software you have available as well as what types of environment you will be using the scanner in. For instance, do you need one that runs a certain program and can handle multiple tasks like tracking the amount of alcohol sold versus the amount of alcohol poured? Barcode scanners are easy to purchase. They are basically anywhere and everywhere these days. The thing that needs to be done before diving into an investment such as this is to take the time to think it over and research this equipment and find the right one for your business. Remember that the more expensive ones may not always be the best choice. Sometimes all you need is something small and simple in order to become a successful business.